In the last decades, our world has undergone many transformations. In the current social, economic and cultural context, work organization systems are different from the last century. Globalization was induced a destandardization of career paths, requiring more transitions across vocational and career path. These changes have the tendency to increase peoples’ insecurity, which increases the need for vocational training, career counseling, lifelong learning and life design interventions. Moreover, vocational psychology aimed, from the beginning, to favor access to decent work and decent life. In this context, the issues of work-life balance and well-being promotion are very important factors to consider when studying career identity construction. Regarding the positive effects of decent work, it is important to explore resources and barriers that impact its access. In this context, the UniTwin international network “Life Designing Interventions (counseling, guidance, education) for decent work and sustainable development” promotes worldwide cooperation between universities on lifelong guidance and counseling to support decent work and sustainable development. 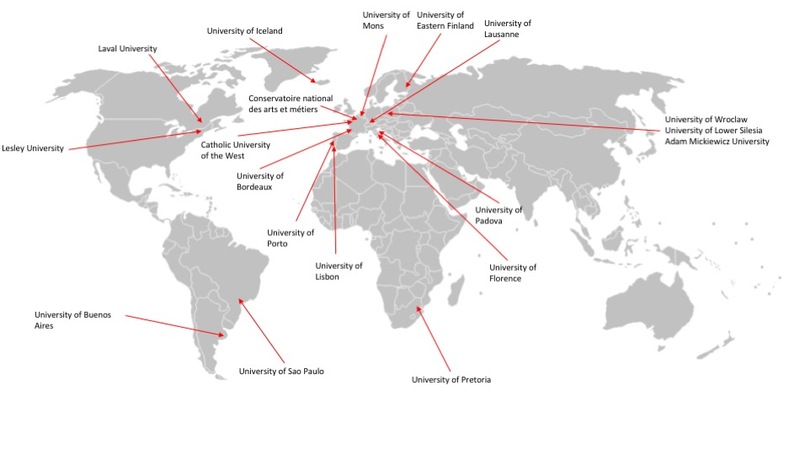 This Unitwin international cooperating network brings together 19 universities from around the world. This scientific cooperation will allow developmental research and programs which promote lifelong learning opportunities and improve vocational counseling for all. This cooperation will also create programs to promote social inclusion by providing adapted intervention for disadvantaged, marginalized, underserved and underrepresented groups. Convinced that vocational guidance, career counseling, and life design can contribute to promote access to decent work and decent life, this network was developed in order to work toward these goals. Copyright © 2019 Unitwin international network. Powered by WordPress. Theme: Accelerate by ThemeGrill.